Hyderabad Hotshots wins the first Indian Badminton League (IBL). India's economy grew at 4.4 per cent in the April-June 2013 quarter, the slowest quarterly rate in last 4 years. India becomes the first nation to fly the Boeing 787 Dreamliner to Australia as Air India's first commercial flight landed in Australia. Indian Hockey Team assured of a berth in next year's World Hockey Cup in Netherland after defeating Malaysia 2-0 in the semifinal of Asia Cup. The Land Acquisition Bill passed in Lok Sabha. Indian Mujahideen chief Yasin Bhatkal arrested near India-Nepal Border. India's Chandrayan mission data helped NASA to detected magmatic water locked under the surface of the Moon. 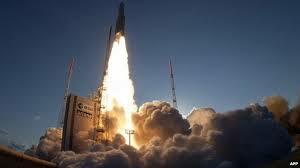 India's first dedicated defense satellite GSAT-7 launched successfully by an European rocket. Indian rupee ends at new all-time low of 68.85 against US dollar. The inaugural Mahathir Award for Global Peace has been awarded to former South African President Nelson Mandela. Rupee hit record low of 66.30 against dollar and posted its biggest single-day fall in nearly 18 years. 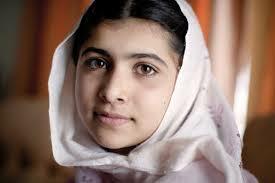 Malala Yousafzai awarded 2013 International Children's Peace Prize. The formal trial of former Pakistani former military ruler Pervez Musharraf in connection with the 2007 assassination of Benazir Bhutto began today. 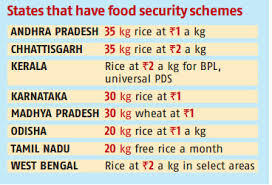 Food Security Bill passed in Lok Sabha after nine hours of debate. The Union Government has extended the monsoon session of parliament till September 6. U.N. inspectors reach Syria to inspect poison gas attack in a rebel-held suburb of Damascus. India reaches the semi final of Asia Cup hockey after defeating South Korea 2-0. Congress wins the by-election Lok Sabha seats of both Bangalore Rural and Mandya seats in Karnataka. The Indian under-23 team wins the ACC Emerging Trophy tournament as they beat Pakistan by nine wickets in the final. England wins the 5 match Ashes Series with 3-0 against Australia. 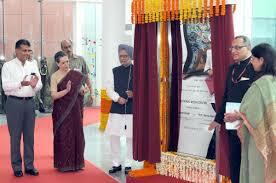 India's first National Media Centre inaugurated by Prime Minister Manmohan Singh in New Delhi. Microsoft CEO Steve Ballmer announced that he will retire within 12 month from post. 12 Andhra MPs suspended in Lok Sabha for protesting against Telangana. 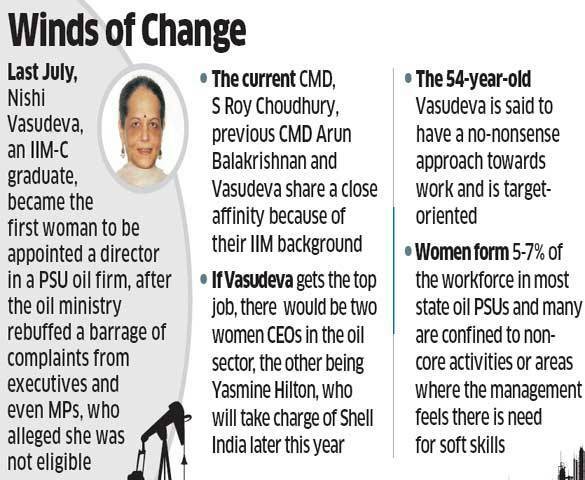 Nishi Vasudeva became the head of state-owned oil major Hindustan Petroleum Corp Ltd (HPCL) and became the first woman to head a Navratna public sector unit (PSU). Facebook joining hands with six other technology companies Nokia, Samsung, Ericsson, Opera, MediaTek and Qualcomm to launch a new global initiative named “Internet.org” to make Internet access affordable for people across the globe. Gujarat Police DGP Amitabh Pathak died of a heart attack in Bangkok, Thailand. Rupee hits record low of 65.56. Parliament disrupting over the suspension of 11 Andhra Pradesh MPs. 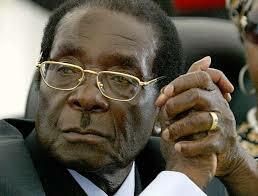 Robert Mugabe sworn in for 7th term as Zimbabwe President. Egypt's former president Hosni Mubarak released from prison. Maharashtra state government clears anti-superstition ordinance. Indian Rupee crashes to record low of 64.55 against dollar. A court ordered the release of deposed Egyptian leader Hosni Mubarak. The fifth and last test match of Ashes Series begins in Oval, London. Three bills relating to the first national women's university, an aviation university and an aviation authority were introduced in the Lok Sabha. Both the Women's University and the Aviation University will be setup in Rae Bareli. Delhi becomes the first state to clear the food security scheme as Sonia Gandhi launches food securityration cards to beneficiaries. A court in Pakistan has formally indicted former military dictator Pervez Musharraf with the murder of former premier Benazir Bhutto. A train killed at least 35 pilgrims crossing a railway track in Dhamara station, 180 km east of Patna, the capital of Bihar. Till now Indian Navy recovered seven victims found from the fire-devastated INS Sindhurakshak. ISRO called off GSLV launch with just an hour to go before the launch as a "leak" had been detected in fuel tank. Usain Bolt became the most successful athlete in world championship history when he anchored Jamaica to victory in the 4x100 meters relay. Bolt with eight gold medals in World Championship equals American trio Carl Lewis, Michael Johnson and Allyson Felix but the Jamaican moved ahead by virtue of his two silvers from 2007. Prime Minister Manmohan Singh has set up a panel of seven-member to assess the status of Scheduled Tribes, to ensure their progress in socio-economic, health and education fields. The committee will be headed by National Advisory Council member Virginius Xaxa. For the first time, Election Commission will use the paper trail system along with the Electronic Voting Machines in the Nagaland by-election scheduled to be held on September 4.In this process, when the voter presses a button on the EVM to select the party he wants to vote for, a small slip bearing the name and symbol of the party will appear on the attached VVPAT system. IPS Dilip Trivedi appointed the Director General of CRPF. Usain Bolt of Jamaica wins his third successive world 200 meters title with 19.66 seconds at 2013 World Championships in Moscow. Supreme Court issues notice to Centre and 12 state governments on their response on preventing Bihar mid-day meal like tragic incidents and providing hygienic food to children. A Street in Canada's Winnipeg city has been named after Mahatma Gandhi on the occasion of India's 67th Independence Day. India celebrates 67th Independence Day. Death toll from Egypt political violence rises to 525. The Atomic Energy Regulatory Board (AERB) has given clearance for the unit 1 of the Kudankulam Nuclear Power Plant (KNPP) to produce 500MW of power. Wimbledon Women’s Singles 2013 winner Marion Bartoli announced her retirement. Indian submarine INS Sindhurakshak sank with 18 crewmen after explosion early in the morning at the high-security naval dockyard in Mumbai. The cause of the explosion is still not known. A 6.1 magnitude earthquake jolted parts of China in which 87 people were injured and over 45,000 homes damaged. Indian badminton League (IBL) starts from today. 6 Teams will participate in the event. The Comptroller and Auditor General of India (CAG) reports that the Indian Government had failed to follow defense procurement policy rules in awarding a 560 million euros luxury helicopter deal to AgustaWestland. Parliament proceedings paralyzed over the debate of alleged dubious land deals of Sonia Gandhi's son-in-law Robert Vadra. Ibrahim Boubacar Keita elected as the new President of Mali. Anna Hazare to ring bell at NASDAQ and to lead Independence Day parade in New York. Trap shooter Ronjan Sodhi, the first Indian to win two back-to-back World Cup gold medals recommended for the prestigious Rajiv Gandhi Khel Ratna while 14 sportspersons picked for the Arjuna award by the selection committee. The Arjuna awardees: Virat Kohli (Cricket), Chekrovolu Swuro (Archery), Renjith Maheshwary (Athletics), P V Sindhu (Badminton), Kavita Chahal (Boxing), Rupesh Shah (Snooker), Gaganjeet Bhullar (Golf), Saba Anjum (Hockey), Rajkumari Rathore (Shooting), Joshna Chinappa (Squash), Mouma Das (Table Tennis), Neha Rathi (Wrestling), Dharmendra Dalal (Wrestling), Amit Kumar Saroha (Athletics). The Union Government introduced an amendment to the Right to Information Act, 2005 to keep political parties out of the purview of this law. India successfully test-fired its indigenously developed nuclear capable Prithvi-II missile, which has a strike range of 350 km. India launches first indigenous aircraft carrier INS Vikrant from Kochi. Usain Bolt wins 100m gold at Moscow World Championships with the time of 9.77sec. Shikhar Dhawan smashed the second highest score in limited over cricket with 248 (30 fours and 7 sixes) from 150 balls for India A against South Africa A at the LC de Villiers Oval, Pretoria. Serena Williams defeated Sorana Cirstea 6-2 6-0 to Win Women's Rogers Cup 2013. Subramanian Swamy's Janata Party merges with BJP ahead of the 2014 general elections. Real Madrid wins Champions Cup after defeating Chelsea 3-1 in MIAMI, USA. Ratchanok Intanon of Thailand wins badminton world championship, 2013 in Women Singles after defeating Olympic champion Li Xuerui in the women's singles 22-20 18-21 21-14 in Guangzhou, China. Lin Dan of China wins the badminton world title, 2013 in Men's Singles for a fifth time. Jagan Mohan Reddy quits as MP in protest against the creation of Telangana. The 14th World Championships in Athletics starts in Moscow, Russia. India's shuttler PV Sindhu win a bronze medal at the World Championships after defeating against world number three Ratchanok Inthanon in the semifinals 10-21, 13-21. Government approved setting up of all-women bank (Bhartiya Mahila Bank Ltd) with an initial capital of Rs 1,000 crore. Indian shuttler P. V. Sindhu enters the semifinals of World Badminton Championships after defeating Shixian Wang of China. She becomes the first Indian woman singles player to ensure a medal at the World Badminton Championships. A company from Maryland, USA Sanaria has developed a malaria vaccine that has become the first in providing 100% protection against malaria. The vaccine is known as PfSPZ. India's first e-library will be launched in Haryana's Sirsa district on August 15. Companies Bill introduced in the Rajya Sabha which aimed at protecting the interest of employees and small investors. Lok Sabha had passed the Companies Bill in 2012. Sixth Andhra minister quits in protest against state's division. Telecom and IT minister Kapil Sibal launch the website www.data.gov.in which gives access to 3,500 govt data banks. Parliament rocked for a second day over the killing of five Indian soldiers in Jammu and Kashmir. US President Barack Obama has cancelled plans to meet with Russian President Vladimir Putin as a retribution for Russia's decision to grant temporary asylum to NSA leaker Edward Snowden. Amazon boss Jeff Bezos agreed to purchase the Washington Post newspaper for $250m. Maria Sharapova tops Forbes rich female athletes list for 9th straight year. Five Indian soldiers killed by Pakistan in Poonch area of Jammu and Kashmir. Rupee hits record low of 61.80 against dollar. Raghuram Rajan appointed as next RBI governor. Monsoon session of Parliament starts. The National Green Tribunal ordered a stay on all sand mining activity in the river beds in country. BCCI on Monday approached the Supreme Court challenging Bombay High Court’s order that held as illegal and unconstitutional the two-member probe panel constituted by it to look into spot-fixing and betting charges in the IPL tournament as illegal. England retains the Ashes Series after the draw of third test in Old Trafford, England. England leads the five match series 2-0 after three test. Ravindra Jadeja move to the number one position in ICC ODI bowler’s ranking. He is the second one after Anil Kumble to reach the spot as an Indian bowler. Arundhati Bhattacharya appointed as Managing Director of State Bank of India (SBI). Japan launches first talking Robot Astronaut Kirobo into Space from the Tanegashima Space Center. India women team wins bronze at junior women hockey World Cup after defeating England 3-2 in penalties. Afghanistan insurgents attacked the Indian consulate in Afghanistan's eastern capital Jalalabad killing nine people. Hassan Rouhani took office as Iran's president. India completed 5-0 whitewash over Zimbabwe in the fifth one-day international at the Queens Sports Club in Bulawayo. Amit Mishra declared as Man of the series. Seven TDP MPs resign over Telangana issue. Russia granting asylum to NSA intelligence leaker Edward Snowden in Russia for a year. Cate Campbell of Australia won gold in the women's 100 meters freestyle at the World Championships in Barcelona. Aditya Mehta wins snooker gold in World Games at Cali, Columbia. USA wins the 2013 Concacaf Gold Cup. The Union Cabinet approved a proposal to divest 10 percent of the government's stake in state refiner Indian Oil Corp Ltd. The Cabinet cleared crucial changes to the Right to Information Act to block political parties from being covered under RTI which will exempt parties from being obliged to share details of their funding or how they choose their candidates. Union Government eased investment rules for the retail sector allowing foreign supermarket operators to procure from small businesses which have invested no more than the equivalent of $2 million in plant and machinery. Bhim Sain Bassi appointed as the Delhi Police Commissioner. India wins against Zimbabwe by nine-wicket in Bulawayo to lead 4-0 in the five-match series. 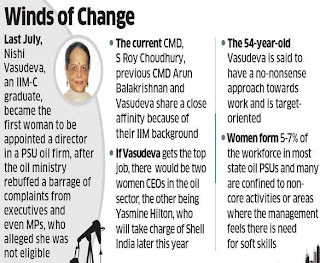 Sujatha Singh takes charge as India’s new foreign secretary.